Six years ago, business analytics professor Clayton Christensen predicted that half of all high school courses will be online by 2019. That’s just five years away. It was hard to believe six years ago but with 10 million students a month using Khan Academy alone, it now seems more likely. The greatest benefit is allowing students to work at their own pace and target the specific skills they most need to master. There is potential for learning to be presented in different ways according to how specific students most like to learn (spatial, linguistic, visual, etc.). It means the teacher becomes much more of a facilitator, moving from student to student to check on progress and assist when necessary. It also will hopefully mean more choice for students to pursue topics they are most passionate about. One tricky thing to remember is that the brain is a social organ and that it is developmentally appropriate for young people to interact with each other while learning. The 21st Century also demands highly refined skills of collaboration and team work. 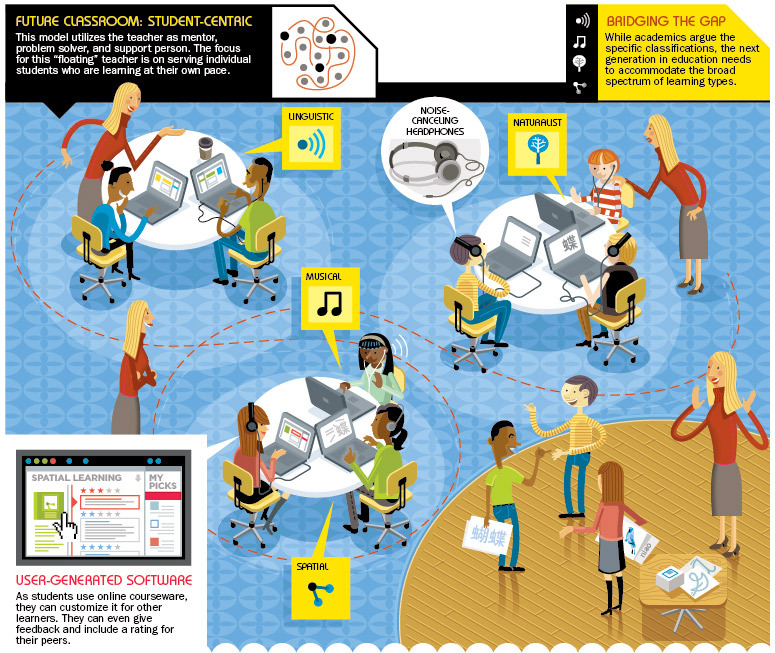 So there needs to be a balance of individual students staring into their screens with noise-canceling headphones along with social learning such as group problem-solving and peer reviewing. How does your school or education institution strike this balance? Let us know.